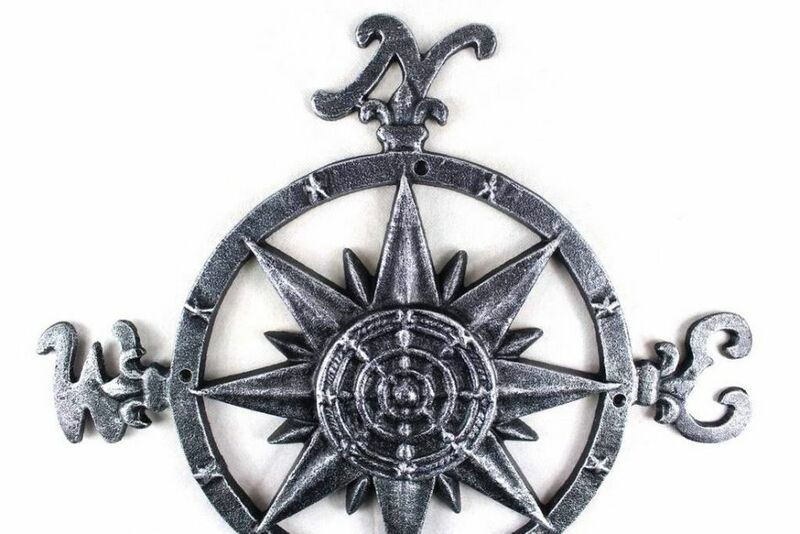 Antique Silver Cast Iron Large Decorative Rose Compass 19"
This Antique Silver Cast Iron Large Decorative Rose Compass 19" is truly a great gift to any nautical enthusiast. 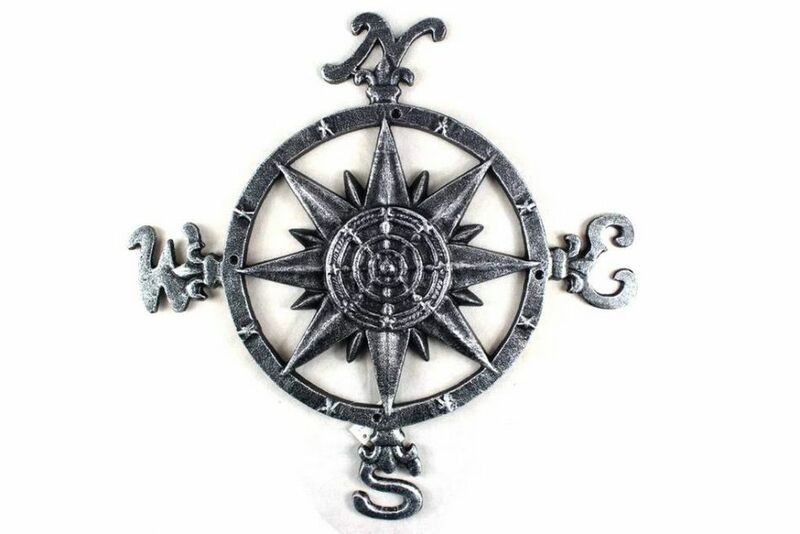 Inspired by authentic compasses, this rose compass features a nautical star in the middle and of course the directions north, south, east and west and has a vintage whitewashed finish. 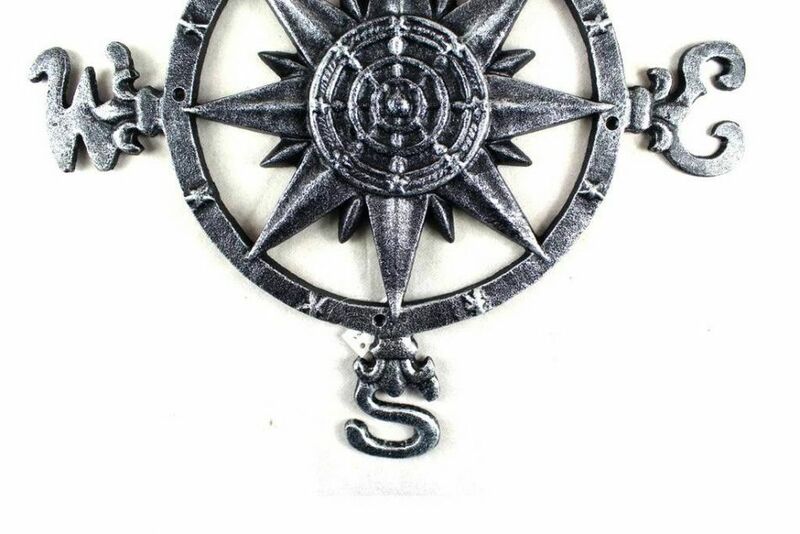 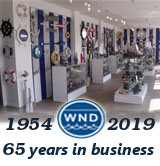 Hang this compass to add a nautical flair to any wall in your home.